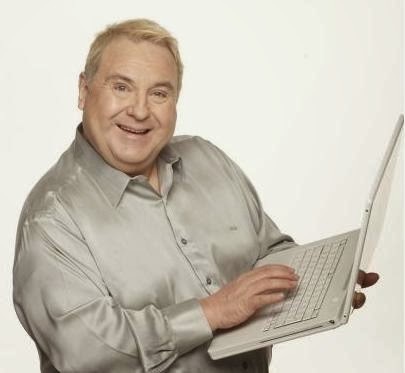 Celebrity TV astrologer Russell Grant has done a horoscope for Facebook's to celebrate the social media company's birthday today, 4th February. Russell said, “Just like people, you can also use horoscopes for companies. Rather than a date of birth, you use the date when the company was founded to take a snapshot of the planetary positions when the company was 'born'." Russell is a busy man, regularly appearing on TV, online, mobile and theatre shows, but during his free time he says he likes to use Facebook. He said: "Facebook and all social media is a fabulous way of communicating with friends, family and followers ensuring an instant connection and also being able to communicate quickly to a mass audience, especially when people ask me for help with charities & appeals! - Happy Birthday Facebook for February 4th." Not surprisingly it's horoscope reflects the way Facebook has transformed how people all over the world keep in touch with each other. Aquarius is the zodiac sign associated with large groups, inventions, innovations, computers, networks, electronics and friendship. It was no fluke therefore that all of this was mixed together on February 4th ten years ago and what was to become the world’s largest social network site was launched. Because when Facebook began, the Sun and Neptune were close together in Aquarius. Mercury, planet of communication in the serious sign Capricorn highlights the good business sense, disciplined thinking and efficient administration that led to Facebook’s incredible success. The Moon and Saturn in home-loving Cancer helped founders pick up the mood of the public. The strength behind Mars in Taurus has kept things going in the right direction while this determination has been aided and abetted by Jupiter’s link with Pluto. Aquarius encourages experimentation while Jupiter in Virgo brings the knowledge, technical and analytical skills needed to keep the site expanding. Facebook’s journey hasn’t been without its drama and disputes, thanks to some tense links between Mercury and Mars and the planets Jupiter and Pluto. But challenge can also be a big motivation. Uranus, the planet that rules the internet and new technology, looks set to help keep things moving forward with a manageable intensity and this will bring further changes in Facebook in 2014 and beyond. This feature was supplied by Russell Grant's PR people at www.russellgrant.com and is credited to them as requested: ©COPYRIGHT RUSSELL GRANT ASTROLOGY LIMITED.